The National Institute for Health and Care Excellence (NICE) has released its new guidelines on the care of people with multiple morbidities. 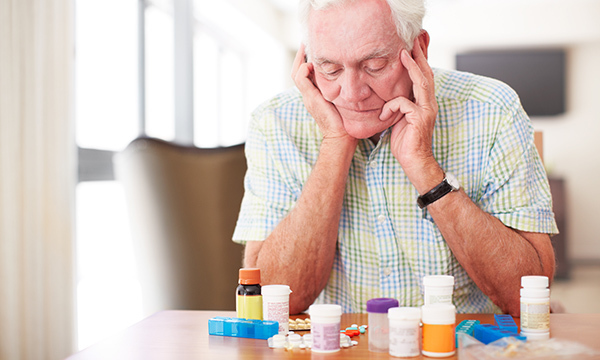 Multimorbidity, when a person has two or more long-term health conditions, is associated with a reduced quality of life, higher mortality, polypharmacy and high treatment burden, higher rates of adverse drug events, and much greater health service usage, including unplanned or emergency care. Multimorbidity is a common problem, and occurs more frequently in older people and in those from less affluent areas. People with multiple morbidities need a tailored approach to care, according to a guideline from the National Institute for Health and Care Excellence (NICE). It recommends developing an individual management plan to help optimise care and treatment in line with the patient's wishes. The plan will also help the patient prioritise appointments for different conditions, and help decide what treatments are appropriate to stop if they offer limited benefit. Patients with multiple conditions can have treatments that interact, with unwanted side effects. Consider an approach to care that takes account of multimorbidity if the person requests it, or if they find it difficult to manage their treatments or daily activities, receive care and support from multiple services and have both long-term physical and mental health conditions. Frailty, falls, frequently seeking unplanned or emergency care and taking multiple regular medicines are also signs of multimorbidity. Multimorbidity refers to the presence of at least two long-term health conditions, which can include physical and mental health conditions such as diabetes or schizophrenia, ongoing conditions such as a learning disabilities, symptom complexes such as frailty or chronic pain, sensory impairment such as sight or hearing loss and alcohol and substance misuse. In older people, it tends to be due to higher rates of physical health conditions. In younger people and people from less affluent areas, it is often due to a combination of physical and mental health conditions, notably depression. Develop a personal plan for each patient that improves coordination of care across services. Focus on how the person's health conditions and their treatments interact and how this affects their quality of life. Bear in mind the benefits and risks of following recommendations from guidance on single health conditions. Aim to improve quality of life by reducing treatment burden, adverse events, and unplanned care. 'Nurses need to be aware, especially when they are caring for older people, that a lot of conditions are associated with each other. So people with chronic obstructive pulmonary disorder are likely to develop heart failure, and those with hypertension will have kidneys under greater pressure, so are more likely to develop kidney disease. 'This demonstrates the importance of treating the whole person, although this can be difficult as health services tend to be set up to focus on a single condition. People with multiple conditions will almost certainly have polypharmacy, and the more tablets someone takes the more likely they are to interact with each other.